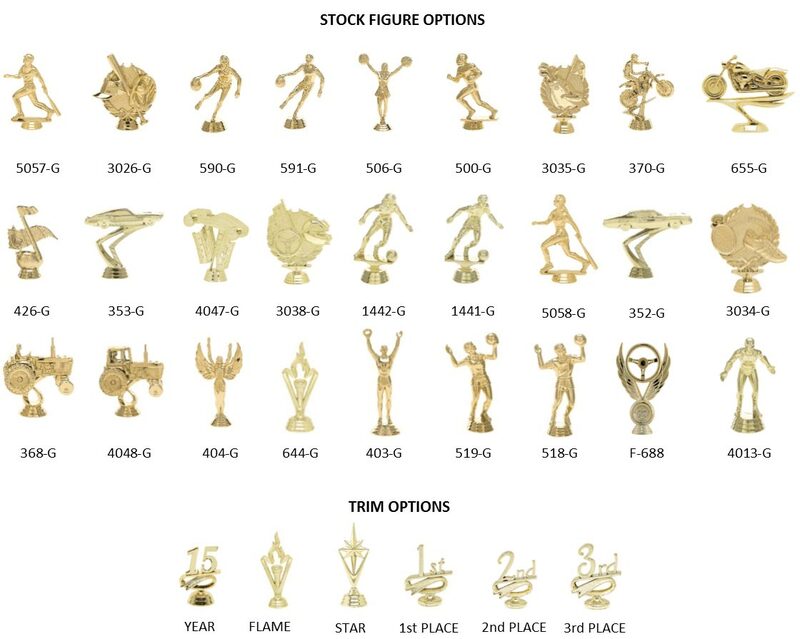 Set S trophy set is an excellent unique design option for any award offering round as well as square columns with a fourth place option as well. 1st Place measures 28 inches tall, 2nd Place measures 21 inches tall, 3rd Place measures 19 inches tall and 4th Place measures 17 inches tall. All heights are based on a 5 inch figure and heights may vary depending on figure selection. Engraving is Free!! Click the button below to add the SET S to your wish list.